Born in Spain, Navid Hejazi graduated from Madrid Royal Conservatory and later extended his studies at Berklee College of Music in Boston. He has extensive knowledge on classical violin techniques and at other styles such as bluegrass and jazz. In Spain, he was part of the Luigi Bocherini Chamber Orquestra and the MRC Symphony Orquestra, performing several times at Auditorio Nacional. In the US he was part of the Berklee World Strings, performing in NYC and Kennedy Center in Washington DC. He regularly performs developing improvisational skills based on different World music styles such as Native American, Celtic and Persian in his own compositions. 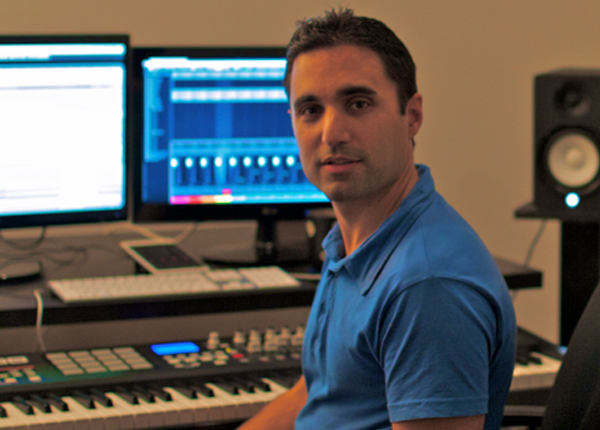 Navid is also an international award winning film composer and his solo violins can be heard on many movies in Hollywood and video games such as ‘Detorit: Become Human‘ and ‘Resident Evil: Revelations 2’. Navid believes the ultimate purpose of playing violin is to have fun and express one’s artistic talents, which everyone possesses and just have to educate. This satisfaction will come with patience, discipline and a strong spirit of self-improvement. Instruments: Violin, Viola, Piano, Composition.